If you are interested in joining our next Homeschool Bowling League session, come join us for a free bowling party with refreshments. 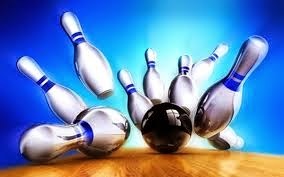 You will have an opportunity to meet our current bowlers ranging in age from preschool through high school. Registration will be available for the next 10 week session which begins Tuesday, March 31st, at noon. Please email me your name and list boy or girl plus ages, so that we may have the proper amount of lanes set up plus plan for refreshments.